If you feed cows, getting a forage analysis done on what is being fed should be as routine as the physical act of doing the feeding. The information obtained from a forage test can be invaluable. Related to a forage or feed analysis is plant tissue analysis; however, each serves a very different purpose and provides different information. 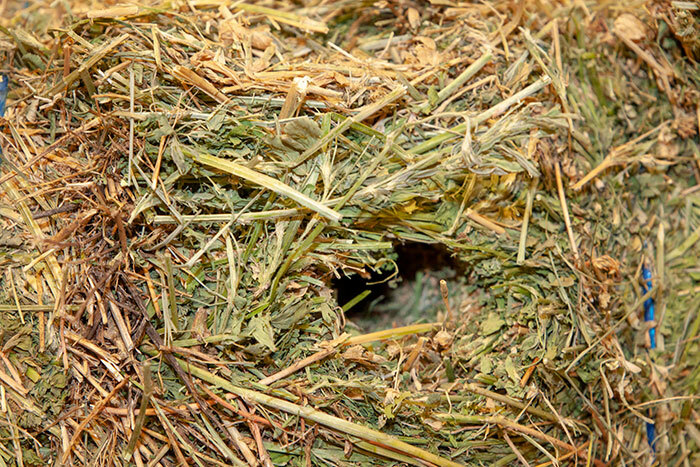 In a recent issue of the Miner Institute’s Farm Report, Ev Thomas lists some of the common interpretation pitfalls when viewing the results from a forage or tissue analysis report. Thomas is a retired Miner Institute agronomist and currently operates his own crop consulting business. “Don’t make feed ration decisions based on NIR (near-infrared spectroscopy) mineral analysis,” Thomas says. “Based on research, NIR analysis is reliable for phosphorus (P), potassium (K), calcium (Ca), and magnesium (Mg), but not for micronutrients such as zinc, manganese, and copper. Thomas explains that plant tissue analysis is based on sampling specific plant parts at a designated stage of development. A forage analysis, on the other hand, generally represents the entire harvested plant. “If a nutrient is low based on a forage analysis, discuss this with your crop consultant and decide if there is further evidence to follow up with a tissue analysis,” Thomas says. Thomas points out that dairy and other livestock farms typically have far fewer nutrient deficiencies because of routine manure applications. This is especially true for micronutrients. “Manure is a multivitamin for crops,” he concludes.